Yoga is a wonderful form of meditative exercise having seen a surge of popularity in Western cultures within the last decade. Yoga offer many health benefits such as lessened anxiety, greater flexibility and strength, and increased self-awareness—among many others. Different types of Yoga are best suited for different types of personal goals. Knowing how to discern between each can help you build a practice that best suits your own needs. Hot yoga, often mistaken for bikram yoga, is a practice that offers invigorating and detoxifying results. Aerial yoga on the other hand is a slower paced practice that builds a deeper cadence with gravity and letting go. 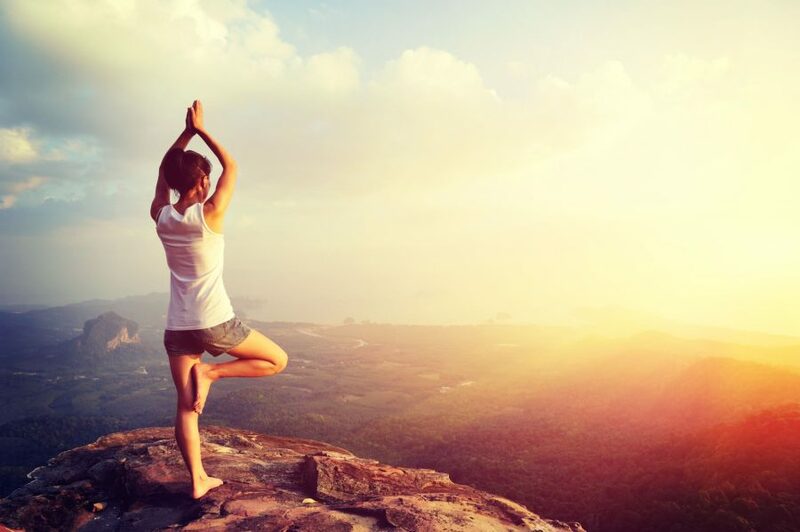 Different types of yoga all have different benefits and can each offer you a unique experience. Yoga has been around for centuries, having mostly originated in India. Many of the terminology used in modern Western Yoga practices finds root in Sanskrit origins. This language is though to have developed around 2000 BCE and having carried such beautiful ideas as poetry, philosophy, and even scientific concepts. India is also renowned for having been the birthplace of Ayruvedic medicine, also having become popularized in Western culture as alternative medicine. While much of our written records of Yoga trace it to this period, it’s generally believed to have developed as far back as 5000-8000 BCE. This long history has seen many divergent branches having evolved into fully developed—yet unique—yogic practices. Cataloging the exact evolution of Yoga would be a tiresome affair even for the most-renowned of scholars. For the sake of simplicity, we’ll be limiting our discussion to types of Yoga you’ll likely encounter by walking into your local yoga studio. This type of yoga was founded by Bikram Choudury in the late 1970’s and is a modern adaptation of the Hatha Yoga style. This type of Yoga is actually patented by Mr. Choundry and only available from studios having Bikram-trained teachers. This type of yoga consists of a 26 movement series that is recommended to be done in a 95 °F environment with high humidity. Much like Hatha yoga, Bikram poses are meant to emphasize the physical mastery of the body while also providing mental exercises to remove oneself from the external world. This type of yoga is great for building strength, detoxifying the body, and gaining a harness over mental dynamics. Teachers interested in becoming Bikram-certified must complete a nine week training course developed by Choudury himself. A 2015 review of clinical data related to Bikram Yoga found that while more reliable data is needed, Bikram Yoga offers a powerful means of improving lower body strength, range of motion, bone density, cholesterol levels, lower arterial thickness, and produce anti-anxiety effects. Bikram yoga certainly isn’t for the average beginner, but with a little familiarity one can find it a nice change of pace from their regular practice. Be mindful that an average class lasts 90 minutes and involves a lot of sweating! This type of yoga is centered around a premise of warming up muscles before they are stretched, and is often called flow yoga. A Vinyasa practice is often characterized by repetitive transitions from such poses as plank, down dog, up dog, and child’s pose to build a sort of circulatory momentum. Sanskrit translations of the term vary—as do most—but comprise of such concepts as meaning a single breath, a single path, or simply; to be. This type of yoga is different from many others in that it is often adapted by Yogis to help strengthen the core of their practice. Vinyasa Yoga is built around repetitive movements and learning to better connect to one’s breath. This isolation of intent helps to underline the importance of Yogic aspects that often get muted by the pain and exertion of more difficult moves. Many other types of Yoga practices incorporate many of the same poses as seen in Vinyasa. The secret to this type of yoga is in it’s repetition and ever-present modulation of musculoskeletal tissue is such as way as to lower the chances of injury. A close variant of this type of yoga is Ashtanga, sometimes referred to as Ashtanga Vinyasa. Ashtanga is also referred to as power yoga, and progresses through flowing catalytic movements into stronger more intense poses. This type of yoga is meant to help awaken what Dharmic perspectives regard to be the subtle energy body within us. This frame of reference portrays a series of energetic nodes within our body thought to resonate with different universal frequencies—all coalescing into a single harmony. The best effort that modern Science has made to described this is similar to how it describes acupuncture; as a series of energetic nerve clusters and endocrine intervals. If you’re looking for proof it exists; we won’t be diving in quite that deeply here. Kundalini Yoga, also known as Laya Yoga, was pioneered from offshoots of the Skatism and Tantra teachings of Hinduism. This practice is best characterized by repetitious movements and the use of chanting to ‘awaken’ the kundalini energy within us. If you imagine a pillar of multiple points extending from your sacrum to your crown—often described as a spiraling snake—you can imagine to approach. Kundalini yoga attempts to start at the most basic point of energy at the base of our spine. By stimulating this area one can ‘awaken’ the kundlini serpent to uncoil and spread energy through the rest of the sutble body. Kundalini poses are focused heavily on the navel, spinal movements, and the focus on energy meridians throughout the body. This type of yoga isn’t taught at every studio, but is often a very rewarding integration into your practice. 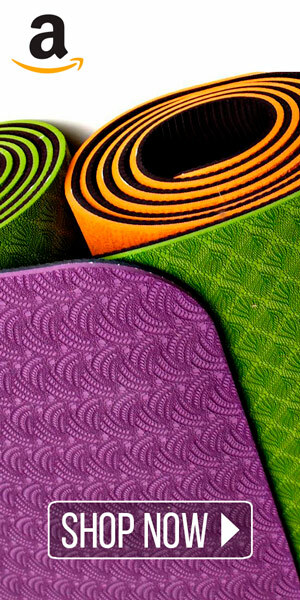 Ashtanga Yoga is perhaps one of the most integral and complex practices of all the types of Yoga. Literally translated, Ashtanga Yoga means somethings along the lines of ‘eight-limbed-yoga’. Clearly, this practices isn’t meant to spur the growth of extra limbs but rather has evolved to catalyze the growth of our complete self. Mastery of this type of Yoga is found only after dedication and progression through each of the limbs, often referred to as the series of Ashtanga. The first four limbs comprise the Primary series, which detoxifies and builds deeper alignment. The Secondary series is meant to integrate the nervous system and mind into the practice. The Third series, called the Advanced Series, is one of the highest levels of Yoga practice and is meant to refine yogis on very subtle and deep levels—connecting them to their universal self. Each series of Ashtanga yoga can only be completed after mastery of the prior. The Primary series alone can take years to master, and further adventure into this type of yoga often lasts a lifetime. Ashtanga is a fast-paced series of pre-defined movements and poses that are connected by breathing. When practices in such a flowing manner, one can consider such practice to be a Ashtanga Vinyasa flow. This practice is not for the feint of heart, and the primary series alone takes about 90 minutes of non-stop movement to complete. This practice has been found in clinical settings to greatly improve balance and stability. This type of Yoga is relatively new to the world, even Eastern cultures—though it has likely been practiced throughout history in smaller yogic sects. Aerial Yoga is a common term for Anti-Gravity Yoga where a yogi makes use of a Yoga Hammock to suspend themselves above the ground. This unique approach of posturing oneself helps isolate the relationship between ourselves and gravity. When practicing more traditional types of yoga you experience balance as an act to prevent falling forward, backwards, or side to side. 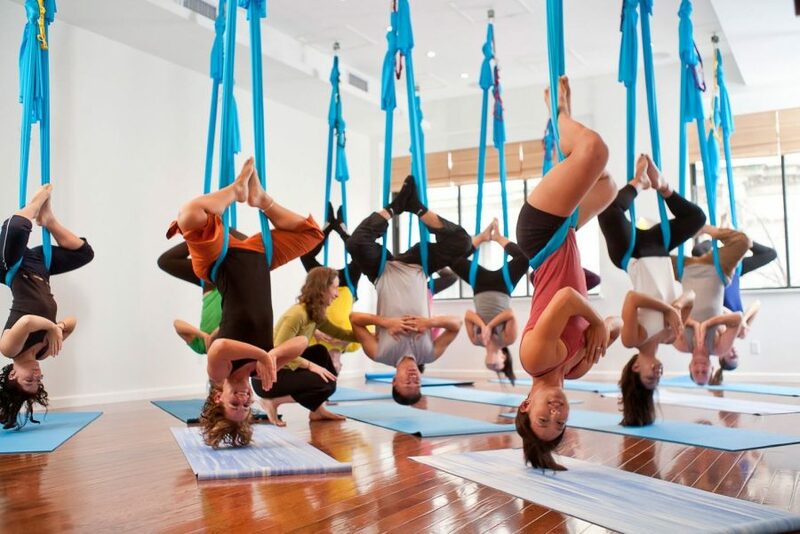 Aerial yoga eliminates much of this experience and helps focus only on the downward pull of gravity. Subjectively, it allows greater cadence with allowing gravity to control you and helps cultivate a sense of submission to the universe (control freaks love it). Beyond simple isolation of balance, aerial yoga offers the ability to strike some unique poses such as cross pose, many unique binding poses, and very kinetic poses great for stimulating the flow of lymph. 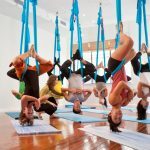 Many yoga studios have dedicated themselves to promoting Aerial practices and now offer this unique practice as part of their weekly schedule. If you see odd looking hammock-type devices hanging from the ceiling—chances are you’re in the right place! Yin yoga is an exploration of inner calm—a realigning of the subtle feminine energies in each of us. As one might suspect, this type of yoga is the opposite of yang type practices where strength and physical energy are explored. Yin consists of a series of yogic postures that are held for extended periods of time. A typical Yin practice may only involve 10 different poses, but last for an hour. These poses are typically beginner-level, and the cultivation of benefit can be found in the complete submission to each during long periods of experience. In Western culture, Yin yoga’s popularity began in the late 1970’s after Taoist Paulie Zink begin spreading the teachings. Zinks full practice integrated a lot of Taoist teachings though and is truly meant to be a unique practice. The Yin element however, has spread in popularity among many yoga studios today. Yin yoga is often a great practice for inner relaxation, for calming a chaotic day, or as a great way for beginners to get a taste of yoga for the first time. Yoga is a lifelong endeavor meant to awaken, connect, and strengthen the human experience. As different as we all are, we are very similar in how we are driven mentally, emotionally, and physically. Yoga serves as a forum in which anyone can better reach the innermost workings of themselves and endeavor to evolve them into more conscious aspects of their lives. 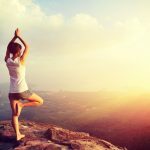 Different types of yoga approach this concept in truly unique ways and each offer the capacity for truly unique experiences. Ashtanga, Vinyasa, Aerial, and other more kinetic practices can strengthen the body physically while Yin yoga focuses more wholly on inner perceptions. Regardless of your circumstance in life, Yoga offers a powerful and beneficial means of cultivating a deeper experience in the world. Core strength is simply essential. Not only does a strong core help you maintain good posture and supphttp://exhalezine.com/protein-bars-suitable-paleo-diet/ort your overall health and vitality, there is power in moving from your physical core center. When you feel strong on the inside, you can start to lean on and trust your inner wisdom—your body’s inherent intelligence. When you feel good in your body, your confidence will soar both on and off the mat, and stress and discomfort will start to melt away, igniting your personal power. In this sequence, we’ll focus on working from the center of your body and developing your core strength. Amplify the benefits by linking your movements with your breath and using its pathway to step into more energy and ease. Hold all poses for 5–10 breaths the first time through. Once you feel confident with the flow, try moving through it again at a pace of 1 breath per movement. I suggest starting with 3 rounds each of Sun Salutation A and B as a warm-up. Note: Have a yoga block handy. Cross your ankles (if they aren’t already), spin both heels to the left, and lift your right arm high into a variation of Side Plank. Press down into your left hand, broaden across your chest, and reach your right arm higher. Lift your gaze and spread the fingers of your top hand. Draw your legs together and arc your hips high. Hold for 5 breaths, then return to Plank and recenter for 5 breaths. Repeat on the other side. From Plank, press your hips up and back for Downward-Facing Dog. With your inhale, lift your right leg high. Keep both hip bones squared to the earth and lift from your inner right thigh. Move from core strength rather than from the periphery. Ride your exhale forward and touch your right knee to your right tricep. Engage your low belly and lift your knee high up toward your armpit. Then on your inhalation, press your right leg up and back to return to a Downward-Facing Dog Split. Lengthen from your right wrist through your right heel. EAST VILLAGE — Yoga to the People has been forced into a painful pose. Yoga guru Bikram Choudhury, creator of the worldwide yoga craze known at Bikram Yoga, has sued the East Village-based yoga studio, claiming its founder Gregory Gumucio ripped off his style by illegally using Bikram’s copyrighted poses and super-heated rooms inside Yoga to the People classes. “The particular class identified in the case is a virtual mirror image of Bikram Yoga and it used virtually verbatim the Bikram Yoga dialogue,” Choudhury’s lawyer, Robert Gilchrest, told DNAinfo, adding that they sent an undercover investigator into a YTTP “Traditional Hot Yoga” class to inspect it prior to filing the lawsuit in California on Sept. 27. 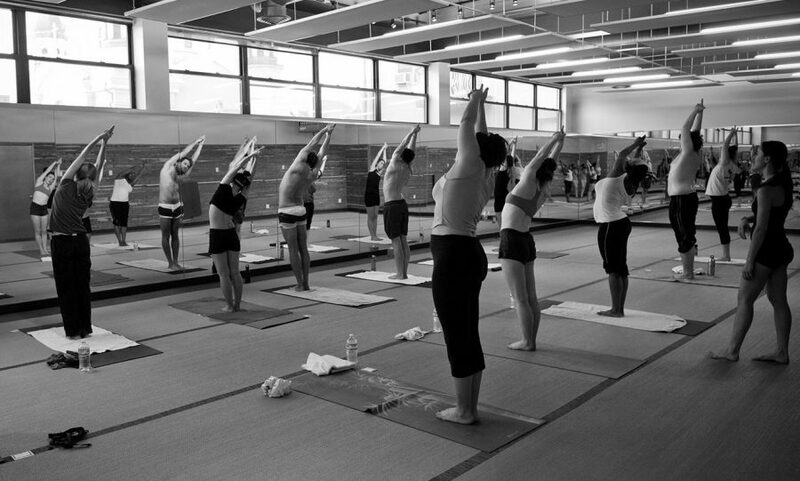 The lawsuit accuses Gumucio of “nam[ing] the class ‘Traditional Hot Yoga’ in order to conceal the fact that the class incorporates and infringes upon, among other things, Bikram’s copyrighted Asana Sequence and Dialogue” — including a strict 90-minute regimen that follows a rigid format of 26 poses performed in a 105-degree room. Choudhury founded Bikram — also known as “hot yoga” —in the 1970s and copyrighted it in 2002, as it skyrocketed to success and began being practiced by a host of celebrities, including Lady Gaga. The lawsuit seeks damages in excess of $1 million, as well as an injunction stopping Yoga to the People from conducting hot yoga classes. It’s the latest in a series of lawsuits by Choudhury, who also sued Prana Yoga in Los Angeles in 2003, claiming copyright infringement similar to the YTTP lawsuit. Prana Yoga settled, agreeing to pay out “substantial monetary compensation,” according to a Bikram Yoga press release. The Paleo diet offers a wide-array of opportunities to address weight loss, as well as overall health. However, some alternative foods like Paleo protein bars can sometimes leave a little to be desired as far as taste and affordability. 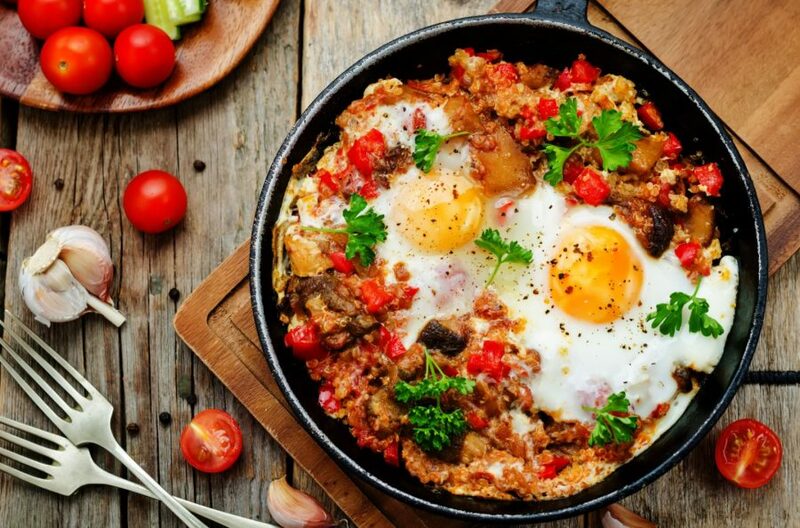 These well-founded interpretations of well-known favorites don’t always win over new dieters looking to make an easy transition into the Paleo diets’ path to success. Without preservatives, added sweeteners, or anything else that isn’t whole-food based, one tends to find a limited amount of options, and of those—many aren’t worth the attention. If you you’re looking to lose weight fast, are prepared to give up some of your favorite foods, then all you need to do to get started is learn what is Paleo, and what isn’t! A quick search on Amazon reveals quite a few results for products that fit the bill. Ranging from a few dollars in price to bulk discounts for packages of hundreds, you can certainly find the answer you may be seeking. One of the best approaches for losing weight on the Paleo diet is to utilize a well-coordinated meal plan system. To make this easier to implement into your daily routine, it can be very useful to have some high quality paleo diet snacks that you can go to during periods of angst! Cookies are off the diet, no crackers, most “health” drinks that contain added sugars are out as well. Important to remember is that while some foods might not contain added sugar, they could contain a lot of natural sugars from fruits like apples, bananas, or dates. Many protein bars, including Paleo protein bars, utilize dates or figs as a base for their product. Not only do these two items provide a nice thick base for all the ingredients to coagulate among one another in, but the also provide a tremendous amount of sweet to the mix. 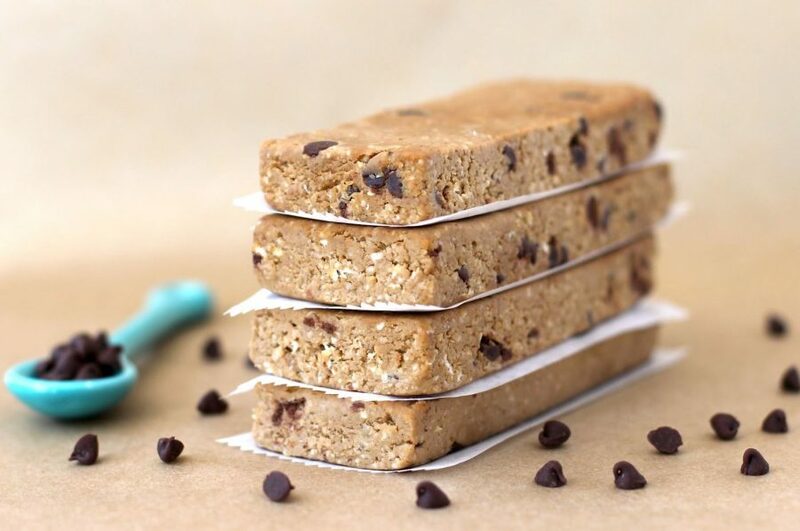 Some paleo diet protein bars contain up to 40% sugar! That means that ever bite you take is nearly HALF sugar! High sugar content not only contributes to major diseases and inflammatory issues within the body, but it can also make losing weight much more difficult. Once you understand that the Paleo Diet is as much about balance as it is about specific foods, you can start to develop a well-balanced meal plan for yourself that will help you reach your weight goals. Obviously, cutting back on the carbs will make a tremendous amount of difference, and this is one reason people have had such success losing weight on the Paleo Diet. When your body isn’t being bombarded by a constant flow of carbohydrates, it can start burning up excess fat stores. For those looking for extreme weight loss, you may even want to adapt your Paleo Diet meal plan into a full-blown Ketogenic diet, which will restrict your daily carb intake to somewhere between 20-80 grams per day. When you get that low in the carb world, you have to start thinking about how many carbs BROCCOLI has in it, not just avoiding bread! Regardless of your approach, you will be well-served by having a rigid plan in which you lay out your goals. If nothing else it will help you understand exactly how the Paleo Diet is moving your health, and how to make adjustments as you go along. 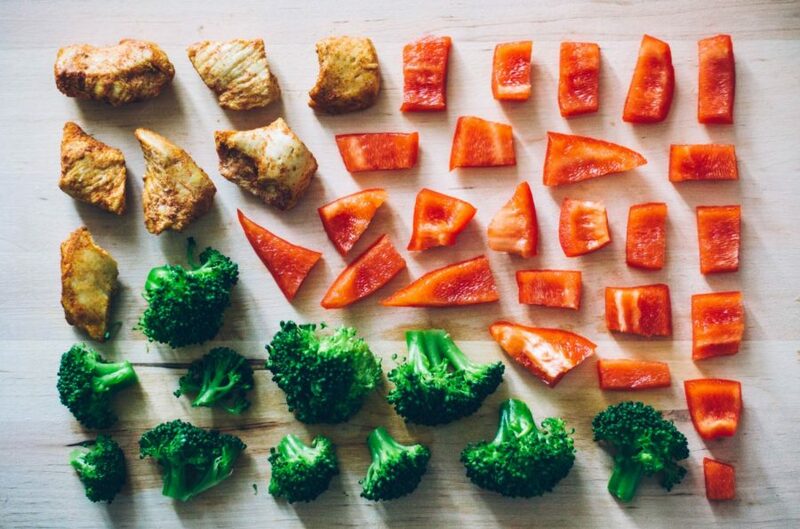 The Paleo Diet is as much a learning experience as it is a weight loss program. Learning how restore your body’s natural balance can be one of the most rewarding experiences in life, and the Paleo Diet can help you make that happen! Type 2 Diabetes and other insulin-resistance disorders such as prediabetes have seen a surge in prevalence in recent years. Many pharmaceutical options such as insulin shots are utilized by those suffering from the disease but recently there has been much data to suggest dietary changes can also serve as potent treatment. Diets low in carbs such as the Paleo Diet or the Ketogenic Diet, have proven themselves highly-effective in the reversal of type 2 diabetes symptoms. Whenever you eat food, your body breaks that food down as much as it can—making nutrient absorption much easier. Among other vital processes, cellular metabolism is fueled from constituents of this process; namely glucose. Whenever foods that are high in carbohydrates or sugar are consumed, your blood glucose levels will become much more elevated. The effects of this can be devastating if hyperglycemia is not addressed quickly and effectively. In normally-functioning bodies, this glucose is converted through an oxidative process usually referred to simply as carbohydrate metabolism. One of the primary functions of this process within your body is to synthesize ATP on a cellular level. ATP is used as a source of cellular energy which allows nearly every vital process in the body to take place. Nearly every organism on Earth is capable of carbohydrate metabolism, including plants and animals alike. Plants do this through photosynthesis, just as we humans do it through cellular metabolism. Carbohydrates are a very good source of immediate energy due to our bodies being able to metabolize them quickly. This is why many athletes will “carb-up” before a big game as well as the commonplace of carbs on the breakfast plate of many. The ability for this quick metabolism also creates the potential for blood sugar levels to spike quite rapidly, which can be an issue for those with glucose resistance issues. Insulin is the primary hormone responsible for transporting glucose from the blood stream into individual cells for metabolism. If glucose isn’t doing it’s job properly, or there isn’t enough being produced, then glucose levels are able to build up within the blood to unhealthy and potentially-dangerous levels. To remedy this issue, insulin shots are commonplace among those with glucose-related issues. By the administration of regular insulin shots, diabetics are able to keep their blood sugar levels within safe ranges. However, in more recent years data suggest that an adoption of low carb diet high in fats and oils (the compounds most associated with glucose production) have shown promise in reducing overall blood sugar levels in patients with diabetes. This reversal of symptoms, has allowed many Type 2 diabetics to completely-stop taking medications. Many argue that these types of diets don’t provide a necessary amount of nutrition for the body, and that the lack of carbohydrates will cause energy metabolism to plummet—wrecking many vital processes in it’s wake. The body is an amazing biochemical machine, and when faced with a shortage of carbohydrates, it simply “shifts” into another types of energy metabolism. This other type of metabolism is called Ketosis. Basically, Ketosis is a process in which our bodies are able to create glucose through a process called gluconeogenesis rather than the normal means. This process converts fats to glucose, and has been shown to provide more than twice the amount of energy by gram weight than that of carbohydrate metabolism. Diabetes is a very devastating disease for many, and has shown sharp rises in numbers of incidence within the Unites States alone. While many patients are able to control their issues through regular insulin injections, many are now learning that dietary changes alone can help address symptoms. Of these new dietary aficionados, almost all are able to completely halt the use of diabetic medications; both oral and intravenous. While more data will certainly benefit the cause, the promise is certainly there already. The Paleo Diet has recently become one of the most-popular diets on Earth, having celebrities and corporate sponsors dancing to cater to demand. The diet—centered around naturally processed whole foods—traces it’s underlying concepts back to the Paleolithic age of man. The Paleo Diet excludes such foods as grains, GMOs, synthetic additives, as well as alcohols and other modern favorites. No more breads, no more milk, no more cheese, and no more beer; the diet is extreme, but it is also getting some extreme results. While the recent surge in popularity of the Paleo Diet may remain a mystery, it’s modern origins can be traced back to the late 70s to a Dr. Walter Voegtlin, and more recently to Dr. Loren Cordains 2002 book The Paleo Diet. While these events popularized the “caveman” diet in the minds of many, the concepts of the diet have been inherent to mankind since our birth. The eating habits of our Paleolithic ancestors help to form the underlying concepts of this diet, guided by the premise that we have been able to modernize food production much quicker than our bodies have been able to modernize its own food digestion. Many studies shown irrefutable evidence that the Paleo Diet has the potential to help you lose weight fast, help reduce chances of major illness, and even reverse some major diseases such as diabetes! People all across the globe are witnessing the power of Paleo, and judging by consumer product trends; the Paleo Diet is here to stay for awhile! The consumer food & health market is driven by guides, weight loss plans, diet plans, meal plans, and novelty food items. The Paleo Diet is a bit of an exception since its core values revolve around the lack of preservatives and food additives common found in widely -distributed food items. 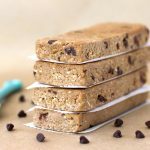 Paleo protein bars, for example, are one of the surging segments of the Paleo market that seems to have hammered out a pretty robust footing. In addition Paleo Diet cookbooks as well as layed out meal plans seem to be popular. A better understanding of what it truly means to eat Paleo can be found by the examination of a Paleo Diet food list, which is pretty much comprised of your local grocer’s organic produce section. Healthy , organic foods eaten in realistic proportions (a caveman wouldn’t have had access to an entire jar of almond butter for example.) Organic foods help to ensure that pesticides aren’t being used, and that GMO seeds are not involved either. All in all, fad diets come and go, but the ones that seem to last are those diets that not only garner media attention and popular obsession but also produce results. If you’re looking to lose weight fast, help address your own health issues, or simply prevent future ones, the Paleo Diet has been proven to work well. The dawn of a new awareness is emerging and people are not longer satisfied with mediocre offerings from commercially-distributed food companies. People are taking the fate of their diet into their own hands—eating local, eating organic, and eating healthy. Vinyasa yoga is a great way to warm up your body and better refine the subtleties of your practice. Through this renowned spiritual endeavor you can easily reduce your risk of injury by first allow your body to ‘adapt’ to your style. This type of yoga has been used by nearly every Yogi the Earth has seen, and often integrates more as a philosophy rather than a defined set of poses. Below are some great tips we found from Shape magazine that help break down some basic Vinyasa yoga poses. 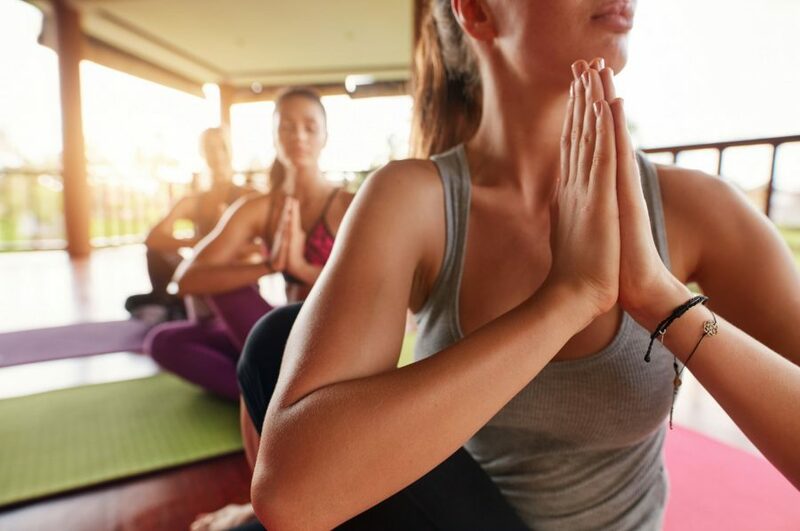 It’s the job of a good instructor to remind students they can do more than they think they can,” says Kylie Larson, a registered yoga teacher and expert instructor for Yoga Download. Begin by sitting on the ground, feet planted, knees bent and hands on the ground just behind your hips. Lift your hips until your torso is parallel to the ground, like the top of a table. Using your core muscles, lower your hips down and through your hands, careful not to let your bottom touch the ground. Hold for three to five breaths then return to reverse tabletop. From a standing position, lower your hips down and back until you are in a squat position. Keep your knees together and abs tight and raise your arms up on either side of your head. Slowly lift up as high as you can on your toes without losing your balance. Lower down two more inches into your squat. Hold for three to five breaths. For even more burn, squat down until your bottom is almost touching your heels and then move back up to parallel, never letting your heels drop. Start on your hands and knees. Raise right leg directly behind you until it is level with your hip. Lift left arm until it is even with your shoulder and you are balancing your right hand and left knee. Slowly move your lifted leg ninety degrees to the right and your lifted arm ninety degrees to the left. Hold for three breaths then return to spinal balance. Bend left knee and lower down as far as you comfortably can into a single-leg squat while still keeping right leg extended. Do five slow squats. Lay on left side. Place left hand on the ground and push upper body off the ground, lifting hips until the only things touching are the edges of your feet and your hand. Lift right arm and right knee, bend, then bring them together until elbow touches knee. Hold the side crunch for five slow breaths. According to the Ashtanga yoga tradition of Sri K. Pattabhi Jois, practitioners are “supposed” to practice asana six days a week. Jois, also known as “Guruji” designated Saturday as the day of rest, since Saturday corresponds with bath day in India. There are also a few “get-out-of-jail-free” days, including Full and New Moon and, if you are lucky enough to be a fertile woman, the first three days of your menstrual cycle. So this Ashtanga yoga thing requires a relatively high level of commitment. Along the way, you may endure a great deal of discomfort on both the physical and emotional level. It’s easy to doubt your efforts when onlookers may see your practice as a self-indulgent, masochistic, tripped out version of aerobics. In order to relieve your doubts, I believe that it is extremely important to regularly evaluate the intention behind your hard work. When I was seventeen, I was fortunate to attend my very first Ashtanga yoga class. There’s only one way for me to summarize this experience: I really just couldn’t believe it. Your reasons for practising yoga will evolve over time. Everyone comes to yoga for different reasons and during different circumstances. The first time I did yoga was from a video by Ali McGraw that my mother had given me. At the time, I was a chronic exercise addict and I couldn’t get through the day without physically torturing myself as much as possible. My mother really wanted me to relax, but she knew that I wouldn’t be able to stop moving. The yoga movie was set in a bright white desert, where clouds hung low to the ground. Ali McGraw demonstrated sun salutations and some basic sequences of yoga postures as a man with a soothing voice talked me through it. When I got to the end, the man told me to lie down and let go of everything I didn’t need until all that was left was love. This seemed like a pleasant concept, but a little hokey and not very realistic. I quickly returned to my extensive and neurotic cardiovascular routine. My second yoga video was by Rodney Yee. Strength for beginners. Besides having a compellingly chiselled body, Rodney could go upside down. I found this fascinating and exciting, but I was so terrified of falling or dying or worse, that it was nearly five years before I would even attempt inversions. Still, that interest and excitement stayed with me. Even though I only practiced a few times a year, I was beginning to believe that yoga might in fact be a worthwhile endeavour. When I was seventeen, I was fortunate to attend my very first Ashtanga yoga class. There’s only one way for me to summarize this experience: I really just couldn’t believe it. Although it would be another few years before I would incorporate a daily practice into my schedule, I absolutely knew that Ashtanga was my yoga of choice. Whether it’s too much turkey or Grandma’s famous pumpkin pie, the holidays tend to lead to overindulgence. But they also provide a great opportunity to detox your body, mind, and spirit. 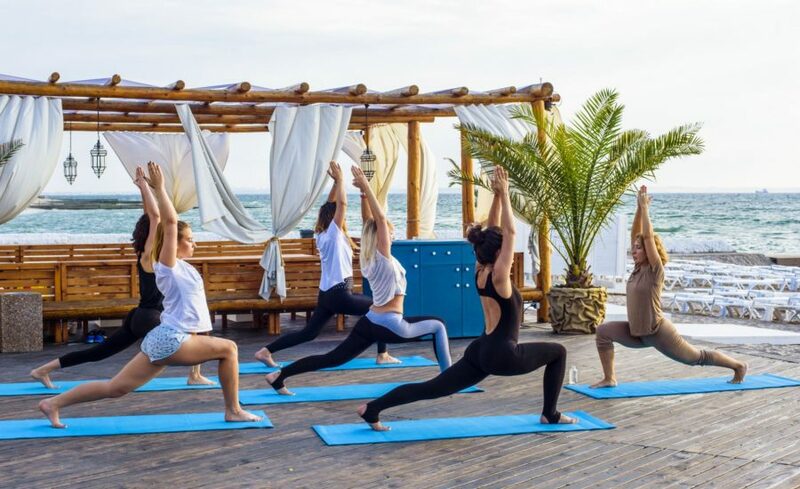 “Our modern lifestyle has most of us on toxin overload, and that gets compounded during the holiday season,” says Liz Lindh, a vinyasa yoga teacher who will kick off the new year by leading a week-long yoga detox retreat at The Sanctuary at Two Rivers in Cabuya, Costa Rica. Lindh created this 8-pose sequence of detoxifying Kundalini kriyas, or repetitive movements, exclusively for YogaJournal.com to boost energy, promote mental clarity, and rid the body of toxins. “This simple sequence is exhilarating, energizing, and strengthening, but is also deeply restorative and cathartic,” she says. “It works the whole body: purifies the skin and lymphatic system, improves digestion and elimination, boosts circulation, balances the flow of prana, releases stuck emotions, and clears the mind.” Goodbye, food coma. How to Do It: Place your feet just wider than your mat with the heels turned in and toes turned out. Soften the joints in your body and gently twist from side to side so your arms are floppy. Allow your arms to flop against your front and back as you twist. Breathe deeply. Repeat at least 20 times. Why It Works: This movement massages the lymph nodes in the armpit and groin regions and will improve the flow of lymph, boosting immunity, promoting healing, and removing cellular waste, including unnecessary fats and excess fluid retention. It’s also very soothing for the nervous system, unblocks the energetic pathways and encourages natural detoxification. How to Do It: Bring your feet shoulder-width apart. Let go of any tension in your shoulders and arms. Keep your knees soft. Jump up and down while shaking out your arms like you are flinging water off of your arms and hands. Do this for 1 to 5 minutes. A good way to keep your momentum going is to choose a song with a good beat and jump for the duration. Let out a yell every now and then to keep yourself going. When you finish jumping, take five deep Ujjayi breathswhile inhaling the arms up overhead to Anjali Mudra (prayer) and exhaling the hands down to the heart center. On the sixth inhale, reach your arms up, then Forward Bend (Uttanasana). Inhale to a long spine, exhale chest to thighs, bend the knees and inhale to lift the chest and arms into Chair Pose (Utkatasana). Why It Works: This movement is a great opportunity to cultivate a positive inner dialogue and free yourself of toxic self-talk. It will clear the mind, strengthen the bones, boost cardiovascular endurance, improve circulation and lymph flow, strengthen and de-stress. How to Do It: Bring the hands into Anjali Mudra. Twist to the right first. Tuck the upper arm bone against the outer thigh bone and press the top hand into the bottom hand. Create a straight line from elbow to elbow and keep the palms in front of the heart center. Be sure to keep the toes and knees even. Gaze up. Hold for 10 breaths. Inhale to untwist and stand all the way up, reaching for the sky. Fold forward on the exhale. Inhale extending your spine long. Exhale folding your chest to your thighs. Bend your knees and inhale to lift your chest and arms into Utkatasana (Chair Pose). Repeat the twist to the left. Do this 3 times on each side. Why It Works: You should be sweating by now. Sweat is the way our body eliminates toxins through the skin. This asana also massages, squeezes, and cleans the abdominal organs, which will improve the way the liver, intestines, and kidneys process waste. It also wrings out various nerve plexuses to activate the parasympathetic division of the nervous system. Parivrtta Utkatasana is very strengthening for the legs, and will remind you that you have the power to firmly and gracefully stand your ground.